Spidey has lost his two dads this year, and I feel blue. If you know me you know that when it comes to American comics, I've always been a Marvel fan before everything else. And there wouldn't be any Marvel comics nor these characters without Stan "The Man" Lee, his creative mind and the gifted artists he was surrounded by when they created everything. Even if he was 95 and had a long and great life, as many readers, I am quite heartbroken. As a kid, in all the Spider-man and X-Men comics I was reading, there was a little "Stan Lee presents" at the top of the first page (of course I didn't know/care who he was at the time). Then, when I was 8 or 9, an uncle of mine brought me back from the US a Spider-man CD-Rom that included interactive digital comics (The Amazing Spider-Man #238-240, first appearance of Hobgoblin), video samples from the 90's cartoon, and... some other video clips of Stan Lee introducing chapters from this story. In these little clips, he was super energetic, and that was super odd to the 8-years-old-me since he looked quite old (my grandpas were not so dynamic, lol). That's how I first discovered who Stan Lee was, and to be honest I instantly thought "hey, Spidey's creator is cool!" 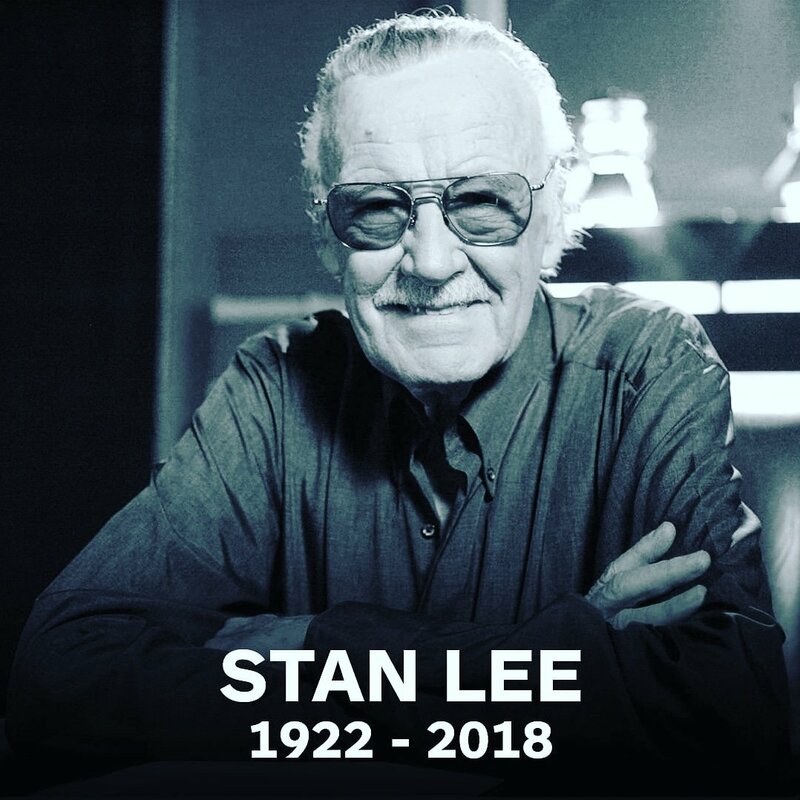 ...and in spite of the years, with him becoming as famous in pop culture than his co-creations, appearing in the Marvel films, it was always a pleasure to see him - his enthusiasm and humor were always super infectious to me. It feels like I'm losing one of my creative heroes. And it feels like there will never be another guy like Stan Lee. R.I.P. Stan, thank you for everything! Excelsior! !